Skcin Attend Sun Safe Assembly with MP Alistair Burt at Raynsford CofE Academy in Henlow On Friday 18th July Skcin had the pleasure of attending a Sun Safe Assembly at Raynsford Church of England Academy, Henlow alongside Alistair Burt, MP for NE Bedfordshire. We were also able to present the school with their Sun Safe Schools Certificate, after their completion of Skcin’s Sun Safe Schools award scheme. The children also enjoyed a first showing of an animated version of our ‘George The Sun Safe Superstar’ book, which they loved! Mr Burt then spoke to the children about his work as an MP in constituency and children in the schools own Owl Parliament had the opportunity to ask Mr Burt questions about life as an MP. 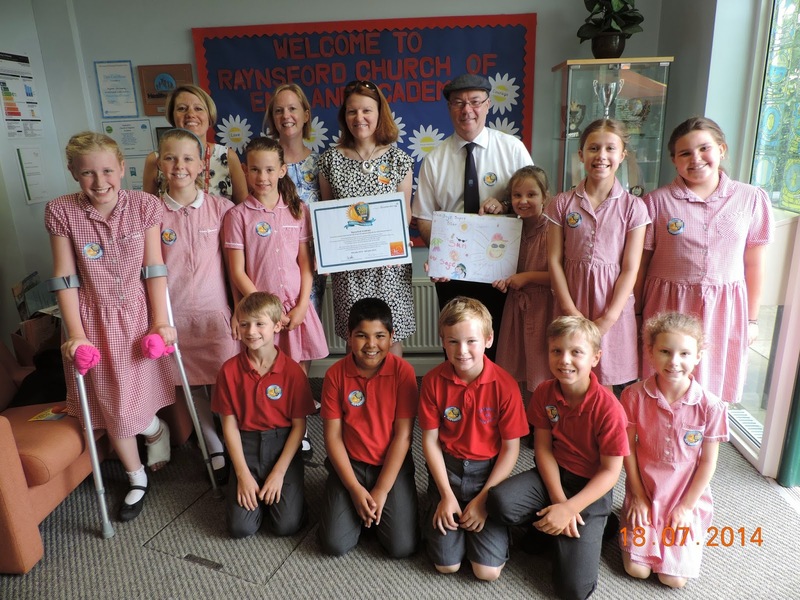 Mr Burt was also presented with a collection of Sun Safe posters the children had created, which he promised to show the Health Minister, as Sun Safety is a very important subject.